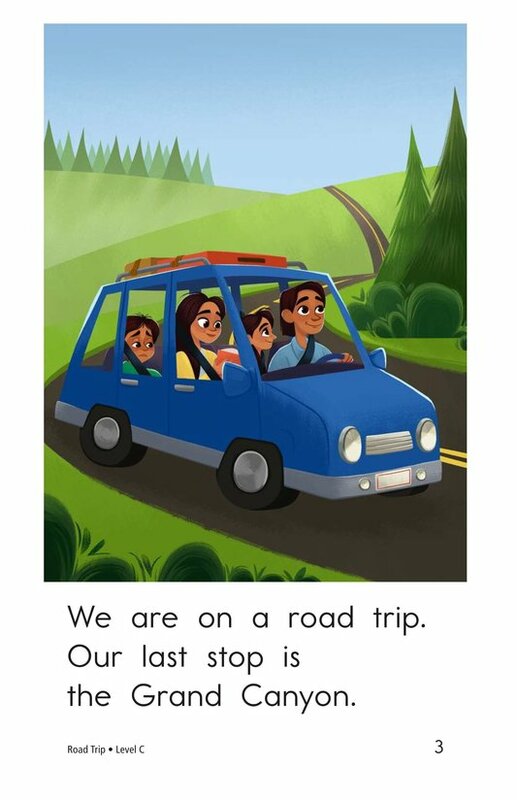 Have you ever taken a road trip? 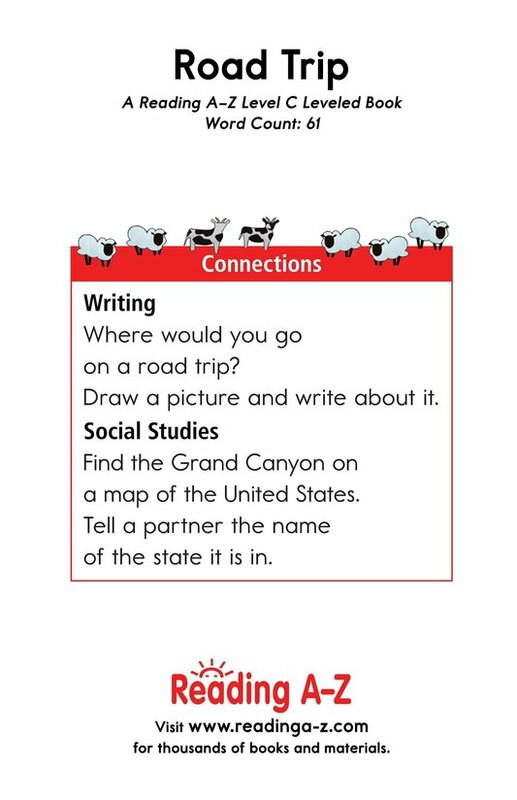 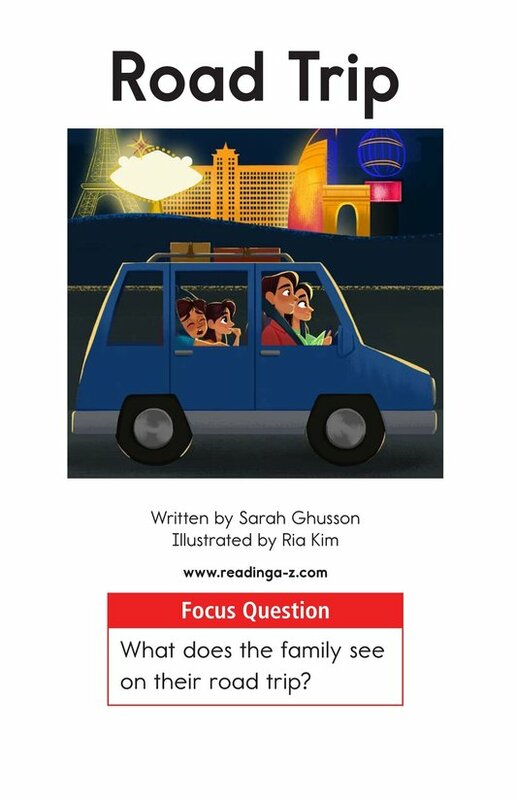 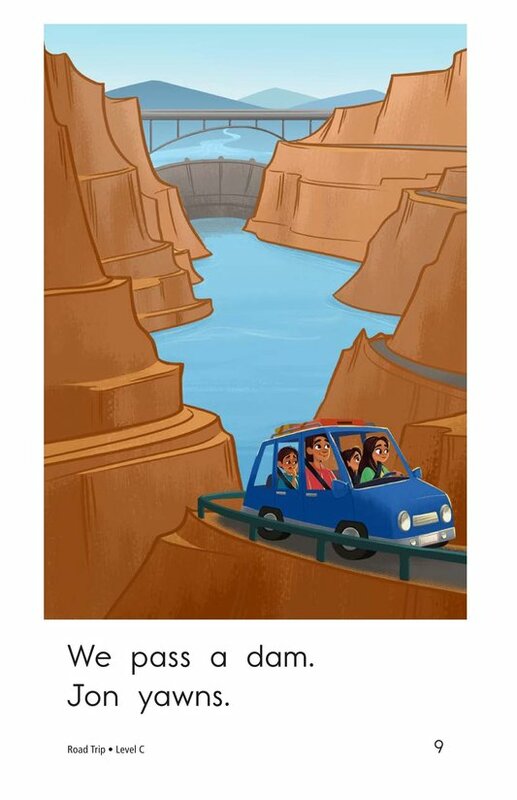 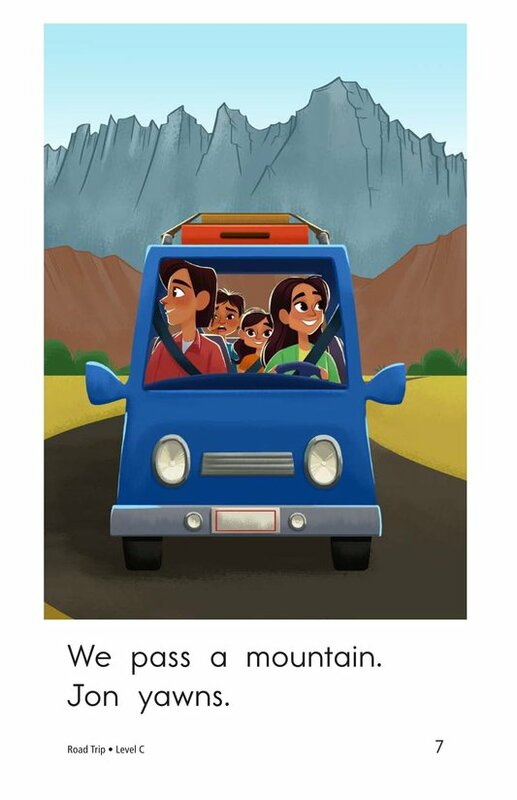 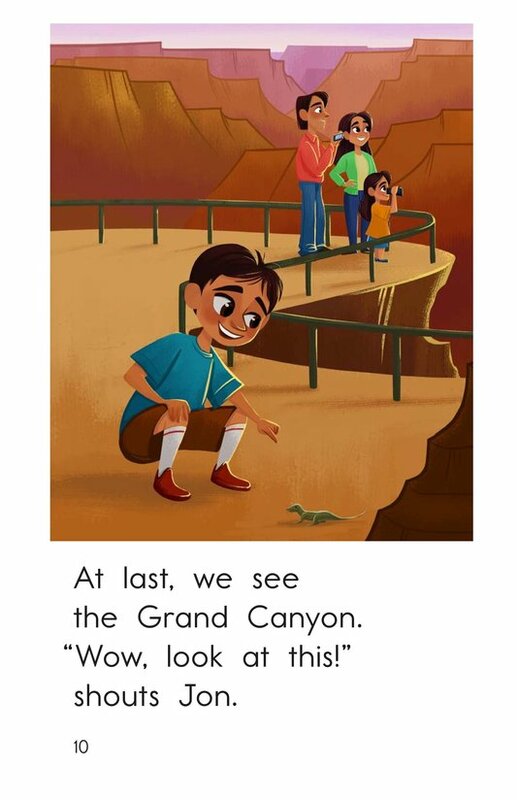 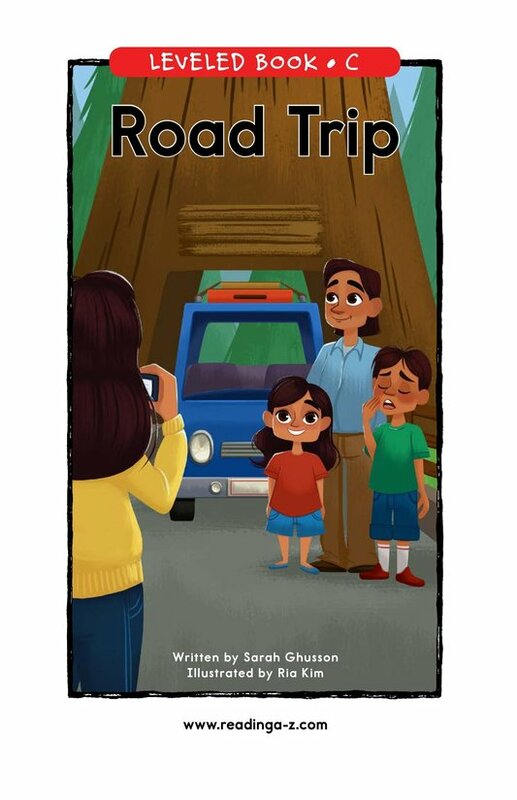 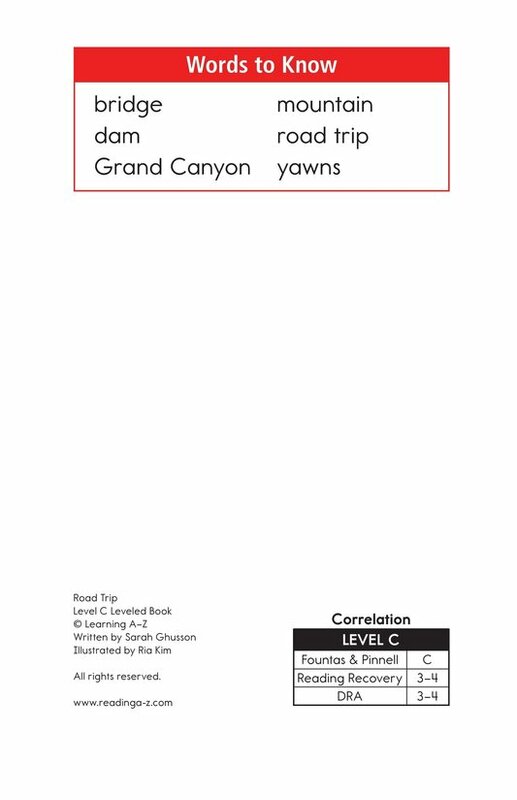 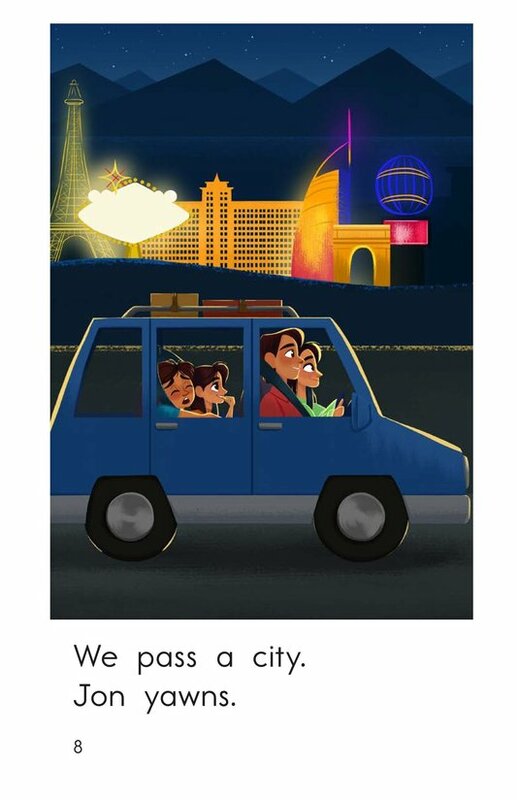 In Road Trip, students will enjoy the sights that a family sees on their way to the Grand Canyon. 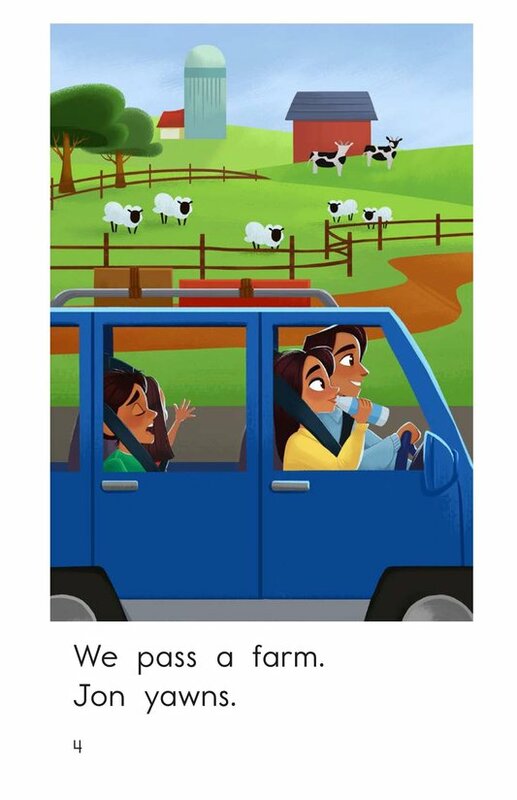 The high-frequency words, repetitive text, and colorful illustrations are ideal for early emergent readers. 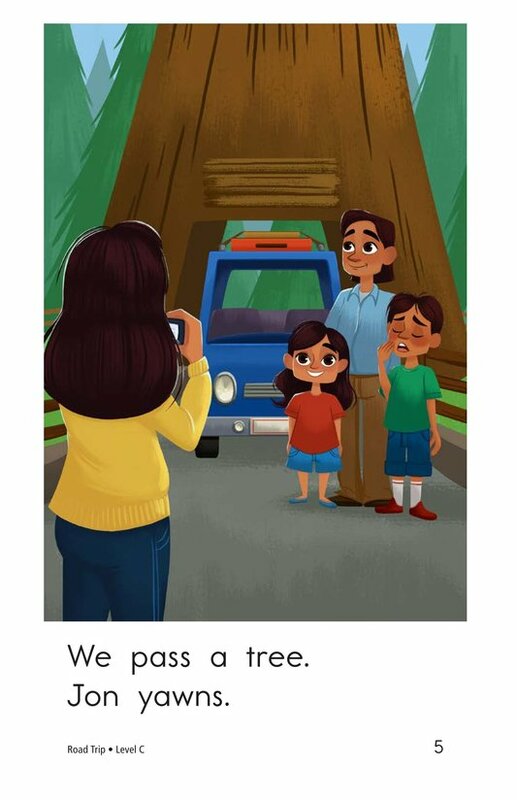 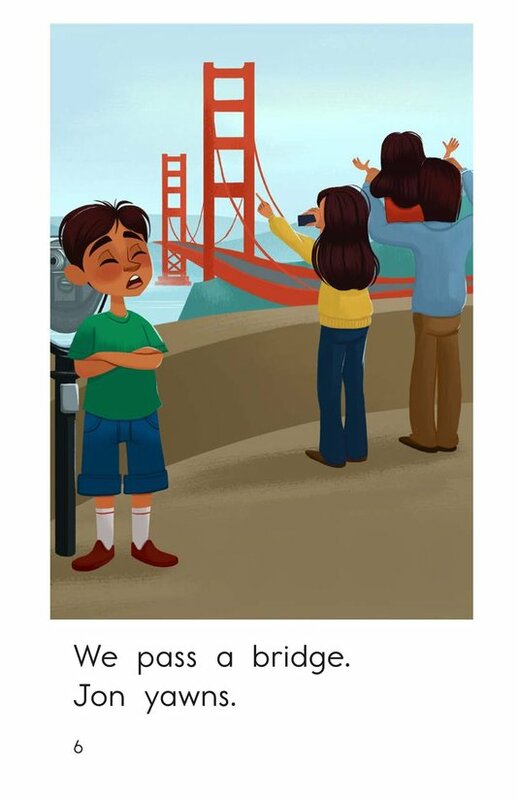 The story can also be used to teach students how to analyze characters as well as to identify nouns.